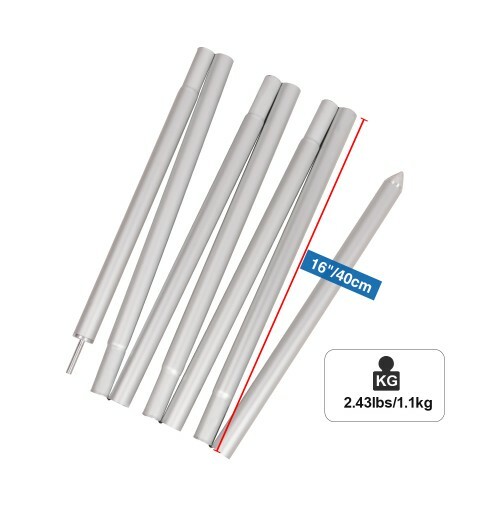 This adjustable tent poles kit is made of aluminum alloy with good mechanical properties and high strength, which is resistant to the corrosion and durable. 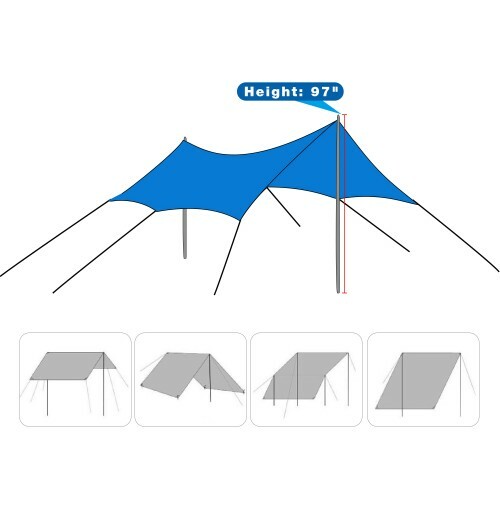 The adjustable tarp and tent poles extend from less than 16 inches up to 97 inches,includes 2 rods and each is separated into 7 segments,each Separate Section Length: 40cm/16inch (Approx.) Package size is2.9"x4.9"x16"/7.5x12.5x40cm. Space-saving and easy to carry. It is a great way to take weight off heavy poles tents and tarps, make your camping trip more easy! Great feature! 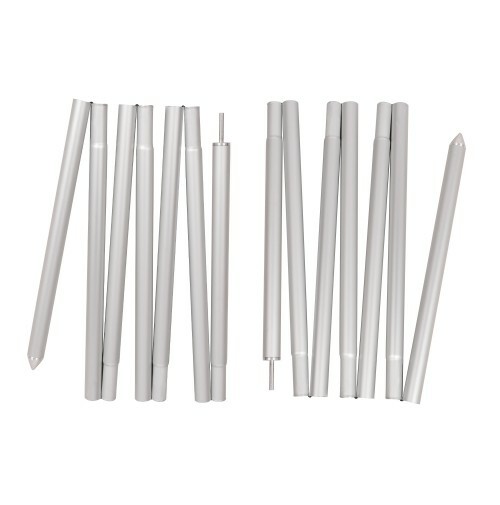 This camping poles not only can be used for the tents and tarps, but also can be used on your car camping trip to make sure you have plenty of clearance under your tarp or awning.